Boom! 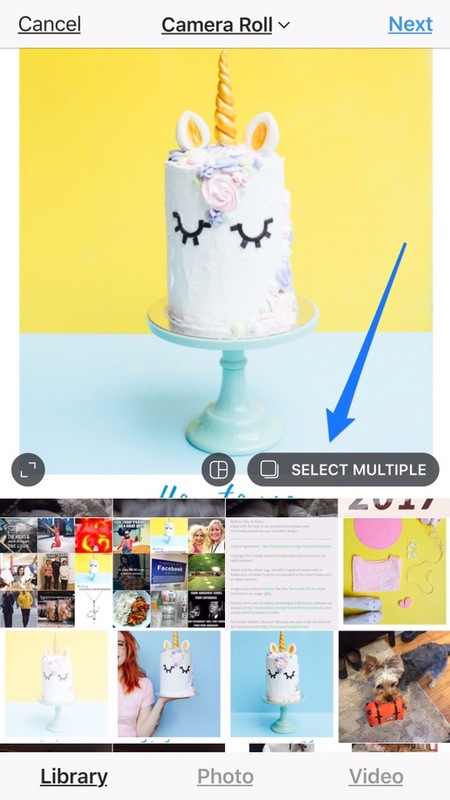 Instagram update shocker today as Instagram added the ability to add multiple images and videos into one Instagram post. Wow! They didn’t give these new posts a name in the Instagram update – they are like carousel posts or slide shows. This new Instagram update is very much like Facebook Carousel posts and ads which perform very well on Facebook. Facebook says, “The carousel format can be used for link ads or mobile app ads to drive people to websites or apps. And the format is working: on average, it’ s driving 30-50% lower cost-per-conversion than single-image link ads.” Could this be a new way to promote your posts on Instagram? Yes! 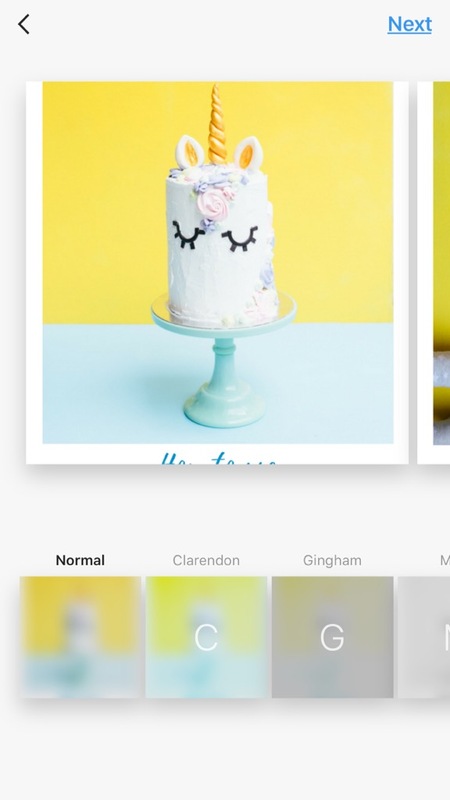 As with other updated features, Instagram posts with multiple, carousel images could receive a little boost in the algorithm. That’s a guess – time will tell! But I have a hunch that they’d do really well so give them a shot. The update is rolling out for iOS Instagram 10.9 in the Apple App Store and for Android on Google Play If you have it, this is how you can post using the new features. Open your Instagram account and hit the + sign. You’ll see the little box and the open to SELECT MULTIPLE. 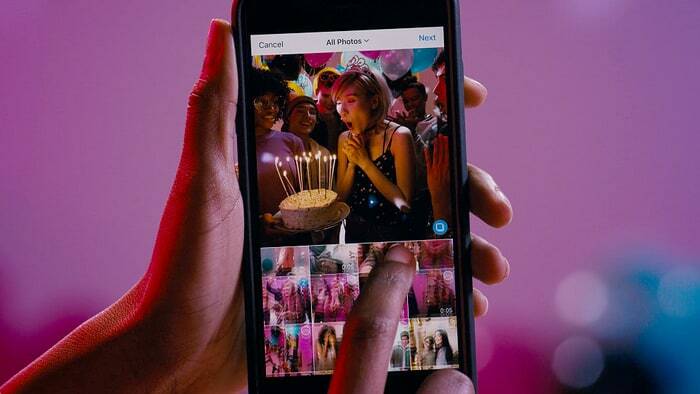 Select up to 10 photos and videos from your phone’s library. To adjust how each photo or video is cropped, tap it then touch the screen to adjust how it fits in the frame. Keep in mind that you can only share posts as a square, not as a portrait or landscape. When you’re done, tap Next in the top right. From here you can add filters that will go on all of the posts. at the top of the screen. When you’re done, tap Next in the top right. Here’s an example from Sue B. Zimmerman on Instagram. You can click through the arrows to see the new photo on the post. Instead of posting many images from one event, you can post a series and tell a mini-story with one post. Build a little tutorial by showing how to do something with more details in your post caption. Use one long image and chop it into pieces to tell a story. Decide how many carousel cards the image is going to cross. Create an image with the correct dimensions. Its height should be 600 pixels and its width should be 600 pixels multiplied by the number of carousel cards used (ex: a three-card image should be 1800×600 pixels). Upload this same image for each carousel card, but crop it at equal and sequential intervals (ex: left, right, and middle for a three-card image) to divide it up across the cards. 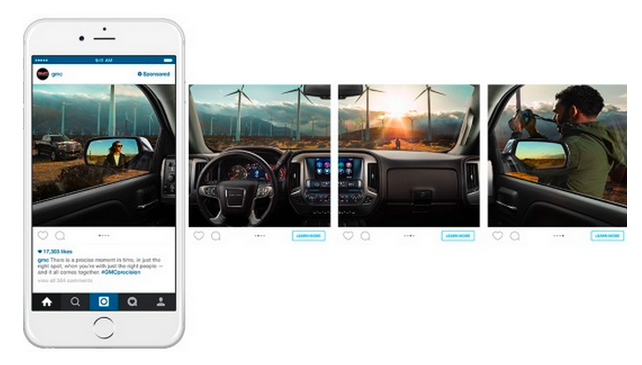 We hope you’re already using Tailwind for Instagram to make your posting easier. [link for a free Tailwind trial] If so, there’s a quick work around for these new posts. 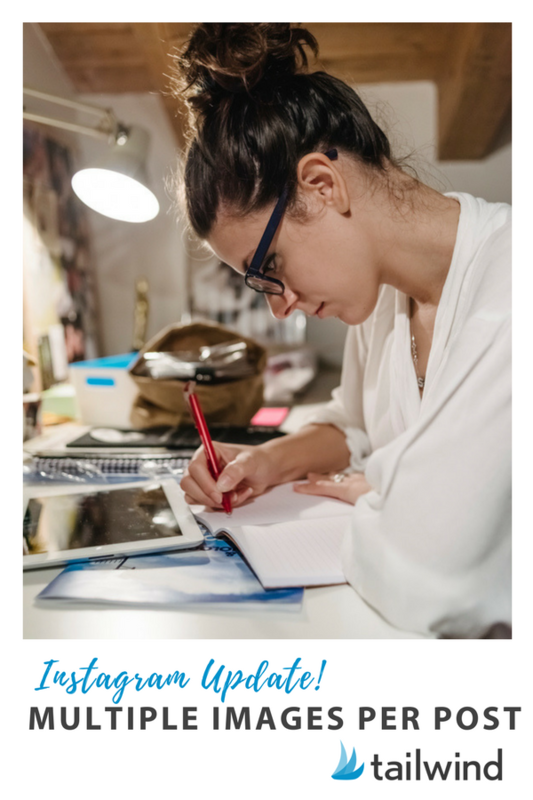 Load your main image into Tailwind and add your caption, then schedule your post. 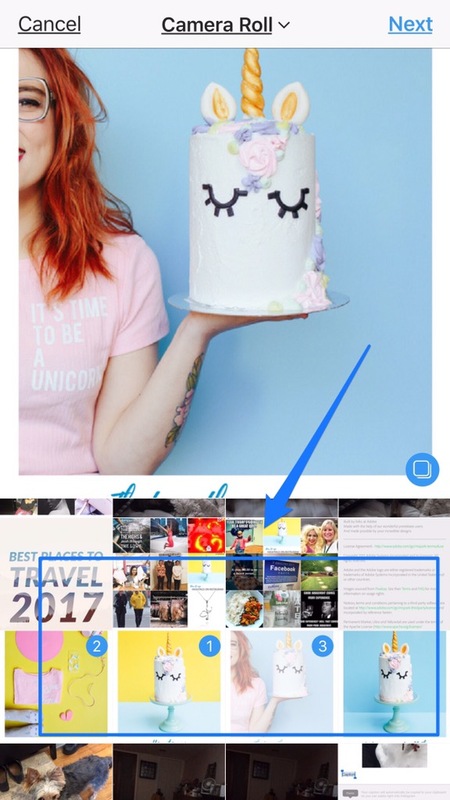 When you receive your notification, open the Instagram app and then select multiple images and add your additional nine images and proceed through the rest of the steps above. This update is rolling on on IOS – check your Instagram app in the App Store to see if you have it. What do you think about this cool new way to post? I think it’s going to catch on! This article originally appeared in Tailwind Blog. This article was written by Peg Fitzpatrick from Business2Community and was legally licensed through the NewsCred publisher network.